Please note date reference in fourth paragraph and fourth from bottom. Australia’s longest living organisation may not be who you think it is. It’s not Houghton Wines or Westpac or the Australian Agricultural Company and it’s certainly not McDonalds. There wasn’t a Big Mac in sight when community leaders Governor and Lady Macquarie created Bible Society in 1817. 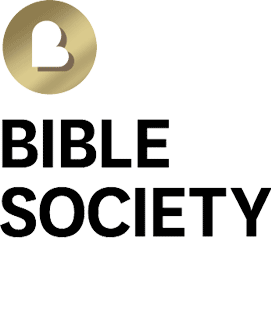 Ahead of its Bicentenary on 7th March 2017, Bible Society remains the oldest continually operating organisation in our nation’s history. The only change is the name. In 2010, the Bible Societies in each state merged into a single organisation, Bible Society Australia. It’s still involved in the translation, publishing, and distribution of the Bible. BSA also aims to engage people with what it calls the Good Book, using both traditional and the latest media. Bible Society Australia CEO Greg Clarke says “we’re not content simply to hand our Bibles. We want to help people engage with the Bible and answer their questions about it”. “We’re celebrating our 200 years of sharing the Bible by doing more of what supporters want us to do – championing the Bible worldwide, from prisons in Australia to churches in China”. In our increasingly secular society, the Bible remains the world’s best-selling book with more than five billion copies printed. But is it still relevant to Australians? Bible Society claims the good book is foundational to our human rights and legal system. According to Human Rights barrister Geoffrey Robertson QC, the philosophic basis of the right to human dignity is the parable of the good Samaritan. Our charities also reflect the well-known parable. 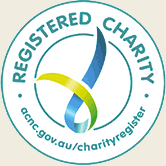 Of the 30 largest charities in Australia, 26 are faith- based. They argue that Bible readers are more likely to volunteer to help others. The values that Australians cherish also stem from the Bible. A common ANZAC statement is from John 15:13: “Greater love has no one than this – to lay down one’s life for one’s friends”. Bible Society claims it’s a verse that captures our national vision for humility, sacrifice and friendship between equals. Following Arthur Stace’s one word campaign “eternity” is a Bible word most Australians would recognise. Christians believe it’s the message of God’s love for us in Jesus Christ and a love that will last forever. Eternity is also the title of Bible Society’s news service which reaches hundreds of thousands of people via newspaper and digitally. To mark its 200th birthday, Bible Society Australia is staging a national celebration service on Sunday 5th March, 2017. Bible Society Australia wants this celebration to be more about elevating the place of the Bible rather than about Bible Society itself. The event will be held at the Hillsong Main Auditorium in Sydney. Church groups of every denomination are encouraged to stream the event as a lighthouse church. Details at www.bible.org.au. Dr Clarke says “Over the past 200 years, the Bible has done Australia a lot of good”. He says the work will continue both here and throughout the world, adding “the Good Book really is here for good”.